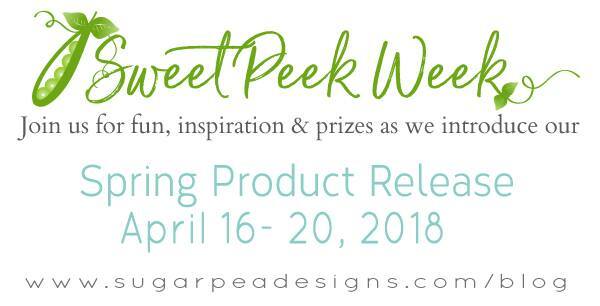 Welcome to Day 2 of the Sweet Peeks at SugarPea Designs. I LOVE today's release. The city scape die cuts are truly amazing and so much fun to use! There are two; London and Paris. My first thought when I saw the Paris die was an evening out in Paris. Who wouldn't want to walk around a city like Paris at night on a warm summer evening?! I would love to. 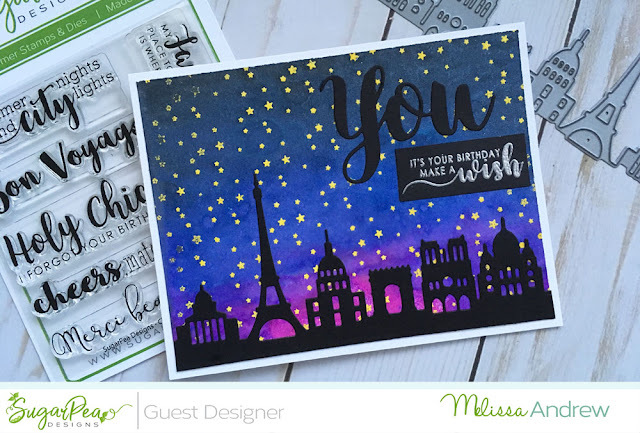 I created the night sky with the little stars that are part of the Chic Wishes stamp set that we are also peeking at today! You can see that in my picture above too! It has so many beautiful sentiments. The stars that come with the set are perfect for creating a night sky too. Remember, all the new stamps and dies will be released in the SugarPea Designs shop this Friday at 6pm. 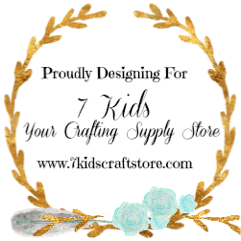 Don't forget to hop to each blog and leave a comment for your chance to win some of the new release! 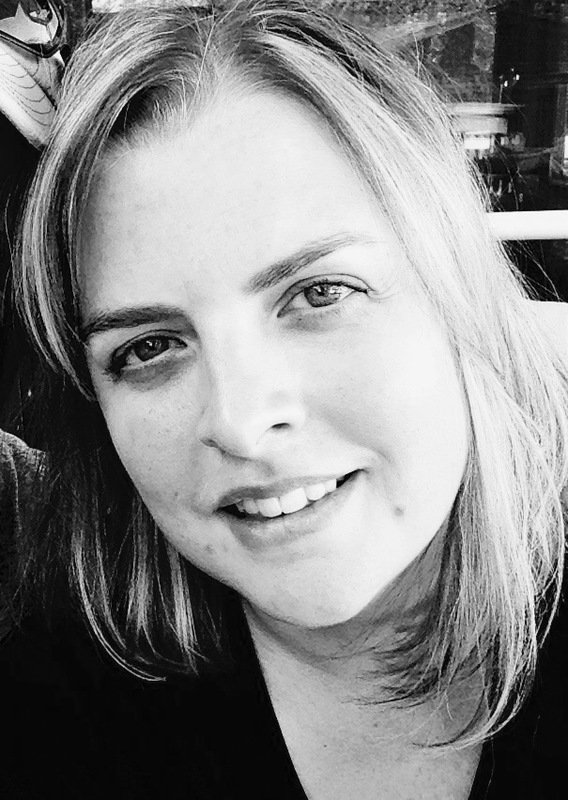 Melissa Andrew - that's me! Beautiful background! I love the stars!!! The starry night just gets me! Super pretty card!! Love the background! Wow! Your card is totally amazing! Stunning background!!! A beautiful card and your night sky is fabulous. OH MY GOSH!!!!! The purple is amazing with the blue. I'm in love with this look!!! Just stunning. I love your colors and design. Just lovely. Awesome night sky, I love those glowing stars and the cityscape! 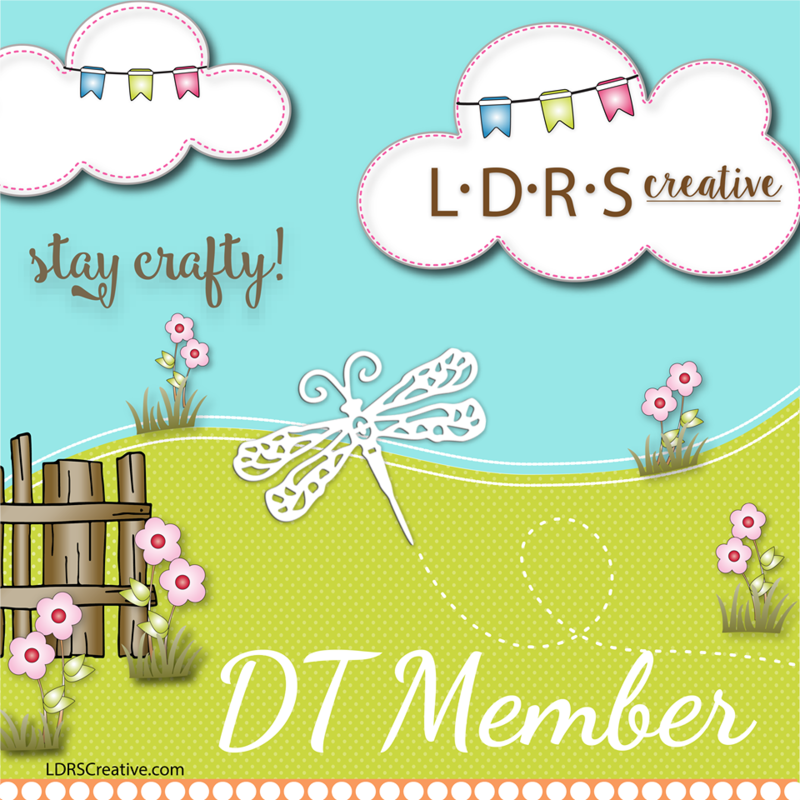 Love the colors on your pretty card! Fabulous card! I love the night sky! I love this night scene. So pretty. Oh my goodness !! Your background is astonishing !! WHA!?!? How did you do that incredible background!?! Your background is just luscious with this wonderful colour palette. So tasteful in it’s simplicity!